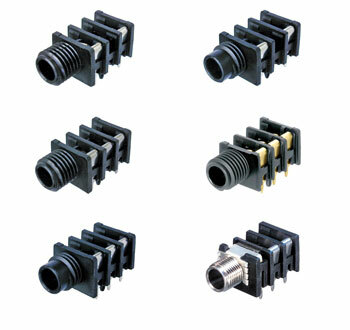 These horizontal PCB mounting, panel-mount, 6.35mm jacks offer high packing-density by mounting on 15.88mm minimum centres in rows or arrays. They are available in mono and stereo versions with switching and non-switching contacts. Metal thread versions provide EMC protection grounding connections. There are five mounting-nut options, which should be ordered separately as required. 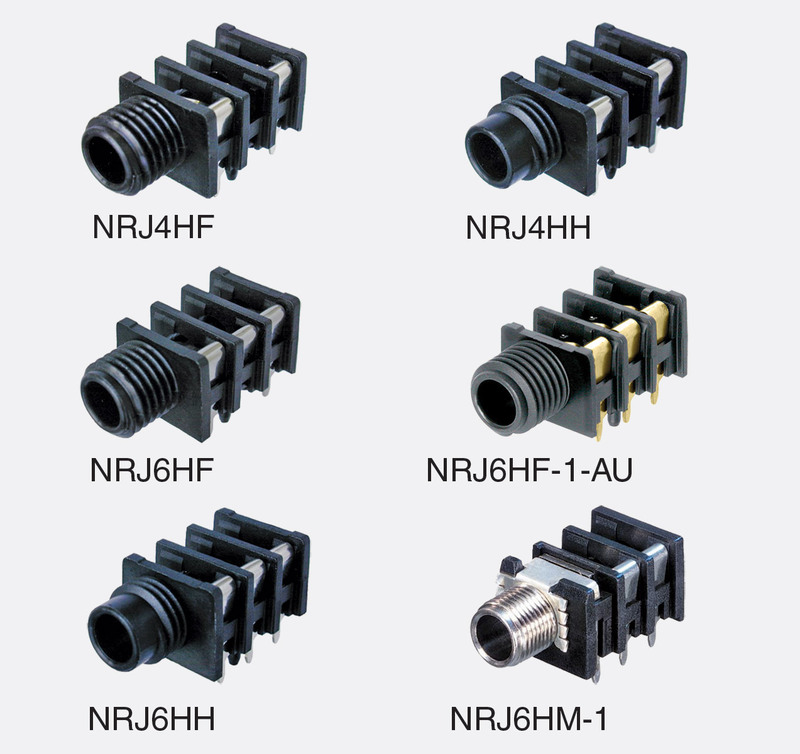 Connectors are supplied without nuts.